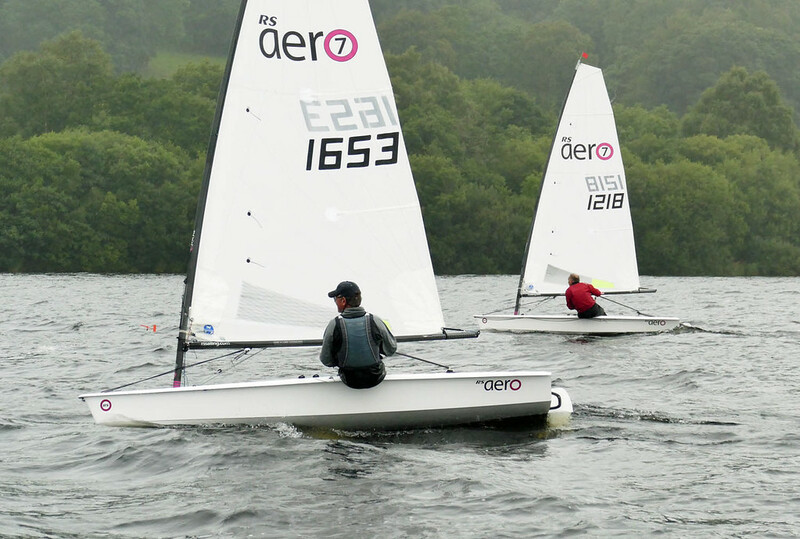 The latest venue for the RS Aero Northern Circuit was Bala in beautiful north Wales. 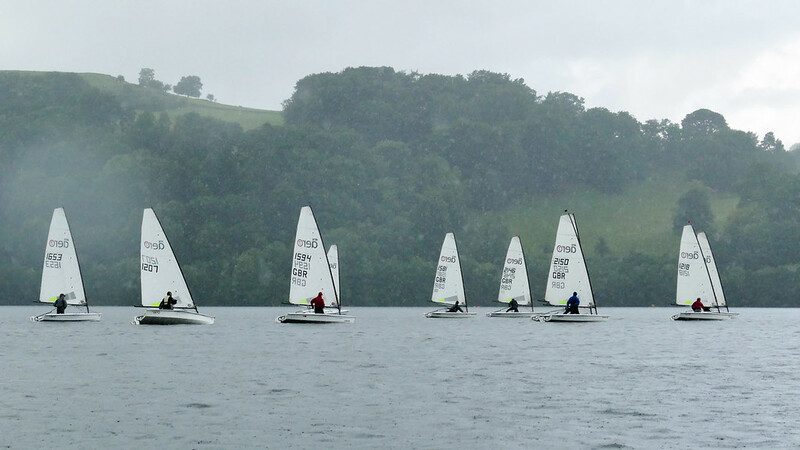 We had light winds, squally, heavy, heavy rain and powerful gusts, typical bank holiday weather - There were contrasting conditions! Jeanette Davies agreed it was a throughly exciting weekend, she enjoyed meeting up with fellow RS Aero sailors and took the opportunity to admire the hull of her boat while going turtle on day two. Martin Crushing had a stonking 1st race on day two but unfortunately his joints couldn't withstand the pressure and retired at lunchtime. 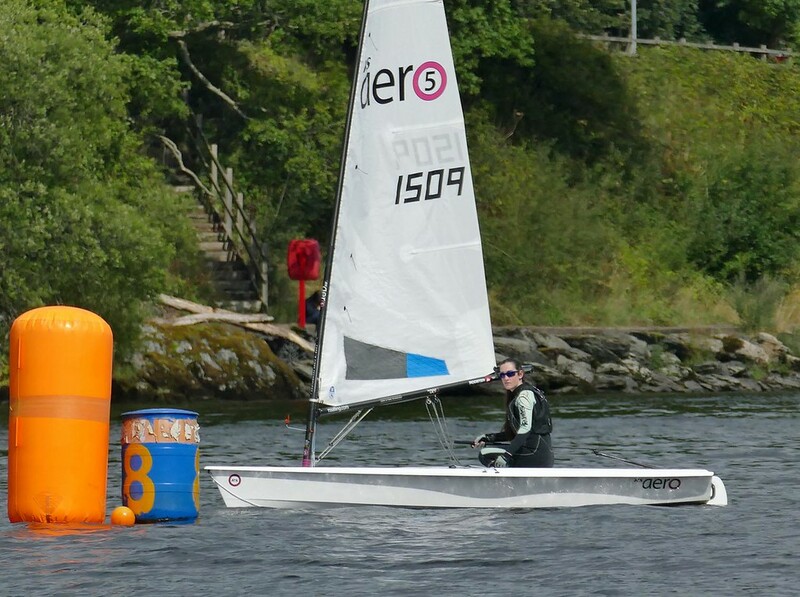 Nice to see a young RS Aero sailor Chloe Patrick from her home club Bala. 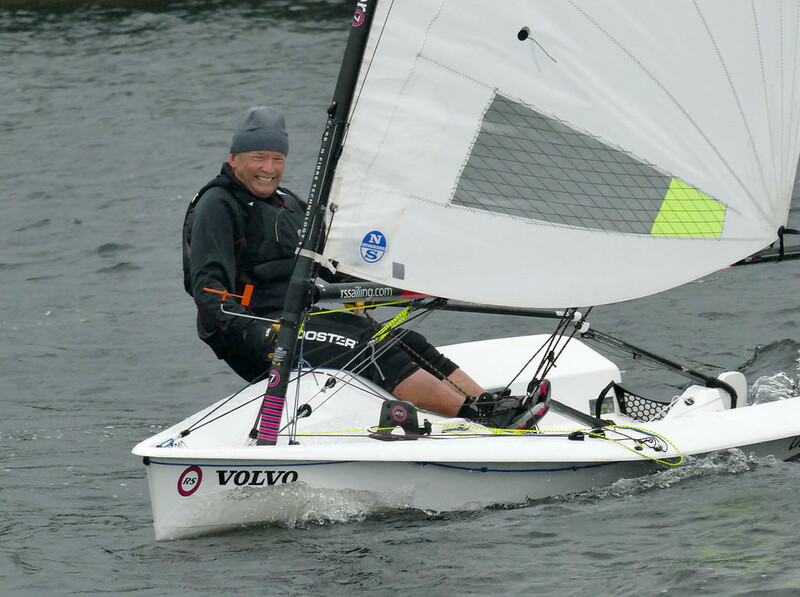 At the end of a fruity day two the final results were very close and it was all in the final race to make it an exciting weekend with Iain pipping Chris on a tie break!